Tulsa Holiday Lights are one of our specialties at Green Leaf Lawn Service. We’ve been hanging lights for a number of years and we get better and better at it all the time. We are one of the best companies to have working for your home and will come out today for an estimate and a consultation. Give us a call at 918-640-6405 or visit us online at www.greenleafweedcontrol.com for more information about all of the services that we offer to the people of Tulsa including Tulsa Holiday Lights. We are devoted to our craft and providing the people of Tulsa not only amazing seasonal services like light hanging, but we also are devoted to maintaining your lawn throughout the year with a variety of different services. If you’re one of the many people who are determined to have a beautiful lawn when spring rolls around every year, you probably Artie know that the hard work that goes into creating it can be a little overwhelming. After all of the dirt, time, sweat, and effort you have to invest into your lawn, the last thing you want to happen is to let it go to waste. It is of paramount importance to know a few simple tips on lawn maintenance that will have your lawn looking great all year long. The first step is to fertilize. There are countless different tips and tricks when it comes to fertilizing your lawn, but most agree that it should be done at least once a year, although many experts recommend you do it much more. Fertilizing is just basically feeding your lawn, and it is essential in protecting it from the cold, scorching heat, foot traffic, and whatever else your lawn is up against. We do expert fertilization here at Green Leaf Lawn. In the early seasons such as spring and summer, it’s good to mow whenever you see your lawn getting back beyond the desired link. Try not to cut it too short, but it is fine to keep it looking trim. However when your lawn is place under more stressful conditions, drought, restricted watering, extreme heat or cold, it’s imperative that you not cut it too short. Doing so will prevent the grass from growing and in many cases kill your lawn. If this sounds a stressful process and you just don’t simply have time to pour into your lawn all the maintenance that it requires, give us a call at Green Leaf Lawn. We will create a plan that will make your lawn more beautiful than ever before. We like to think of ourselves as a company that gives back to the community first and foremost. We have a wide range of services and every time that we implement a new service for a customer in the Tulsa area, we give five dollars to the school district of that customers choosing. We call this program “Cutting for the Kids” and it is becoming quite a success. Choose a theme, then select a collection of lights and decorations that will tell the story you want to tell this holiday season. We want to highlight your theme with white or subtly tented lights. For example, if dark red decorations are used, faintly tinted purple up lights and a beautiful glow to each decorative item. The experts at Green Leaf Lawn want to help you with all your Tulsa Holiday Lights needs. When you give us a call we can come out and give you an estimate on your property and help you reduce electricity costs by using accents rather than Houston landscaping lighting if that’s what you prefer. We want you to stay safe and warm inside your home this holiday season while we set up the light displays that will make you proud. Outdoor light should be a fun experience for everyone and we can get started on creating your holiday spirit as soon as you pick up the phone and give us a call at 918-640-6405. You can also visit us online at www.greenleafweedcontrol.com for more information about all of the services we offer. It’s important to hire professional when ever your house may have unsafe conditions for lighting. Consider Green Leaf Lawn to help in unsafe conditions. Homes with groups totaling 20 feet require industrial ladders or roof access to hang outdoor decorations. Also, high-voltage bulbs present a fire hazard if improperly wired or placed on your home. Green Leaf Lawn can assist you in arranging and installing your outdoor Christmas decorations while keeping you safe and your home secure. Call Jamie Nix and Josh Mathias today and speak with them about how devoted they are to their craft and helping the people of Tulsa whether it be in Tulsa Holiday Lights or in lawn and landscape maintenance. We had a wide variety of services to assist your home no matter what season of the year is upon us. At Green Leaf Lawn we provide a wide range of services for residential clients. We take pride in creating a custom environment that meets your needs and budget. Locally owned and operated since 1996, we are large enough to take on the big projects, while small enough to provide warm, personalized service on every single project we do. We know that the key to customer satisfaction is listening and understanding your specific needs. From the first consultation and initial designed to the product selection and installation, we provide all the elements needed to make your landscaping project a reality. We understand your lawn and want to make it reflect the value of your home in a beautiful way. Are you a homeowner looking for an affordable and reliable lawn service? 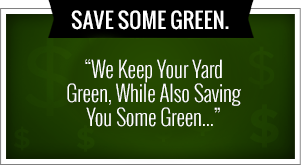 Green Leaf Lawn and landscaping takes pride in providing our clients with prompt, reliable, and professional service. 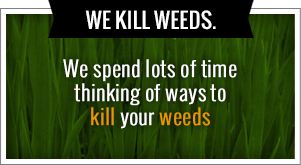 Be sure and check out our website today at www.greenleafweedcontrol.com for more information on how we can service you and your family and your home year-round.